Since making his highly acclaimed New York recital debut at Alice Tully Hall in 1992, Mr. Eguchi has performed in the foremost music centers of the United States, Europe, and the Far East. His appearances in the United States include Carnegie Hall, Avery Fisher Hall, Alice Tully Hall, and the 92nd Street Y in New York City, and the Kennedy Center in Washington D.C.. Also he has performed at Musikverein in Vienna, Barbican Centre in London, Theatre des Champs-Elysees in Paris, Herkulessaal in Munich, Tonhalle in Zurich. and Concertgebouw at Amsterdam. Distinguished for his performances for heads of State, Mr. Eguchi has played for President Clinton presented by Isaac Stern at the White House, and for the Emperor and Empress of Japan at Hamarikyu Ashahi Hall in Tokyo. Mr. Eguchi has been featured in numerous tours of the United States, France, England, Germany, Austria, Switzerland, Holland, Italy, Belgium, Poland, Slovenia, Ireland, Spain, Greece, Canada, Mexico, Guatemala, Korea, China, Taiwan, Hong Kong and Japan, encompassing recitals and concerts with many of those countries' foremost ensembles. He is also known as a collaborative pianist for renowned Violinists such as Gil Shaham, Anne Akiko Meyers, Akiko Suwanai, Kyoko Takezawa, Tamaki Kawakubo, and Reiko Watanabe amongst the others. Currently 45 disks are available from Deutsche Grammophon, Philips, Denon, Marquis Classics, Victor, IDC, BMG, Kosei publishing, Canary/Vanguard, AVEX, Octavia, and NYS Classics, including 11 solo albums most of which have been selected as “The best newly released album of the month” from Recording Arts Magazine. He is privileged of using the legendary instrument, New York Steinway model “CD75”(1912) which Maestro Horowitz played at his concerts in late '70th till ’83, currently owned by Takagi Klavier of Tokyo. As an active composer, Mr. Eguchi's arrangements of Gershwin Piano Selections were published from Zen-On publishing company, and the piano trio version of Faure’s “Apres un reve” was published from International Music Company. 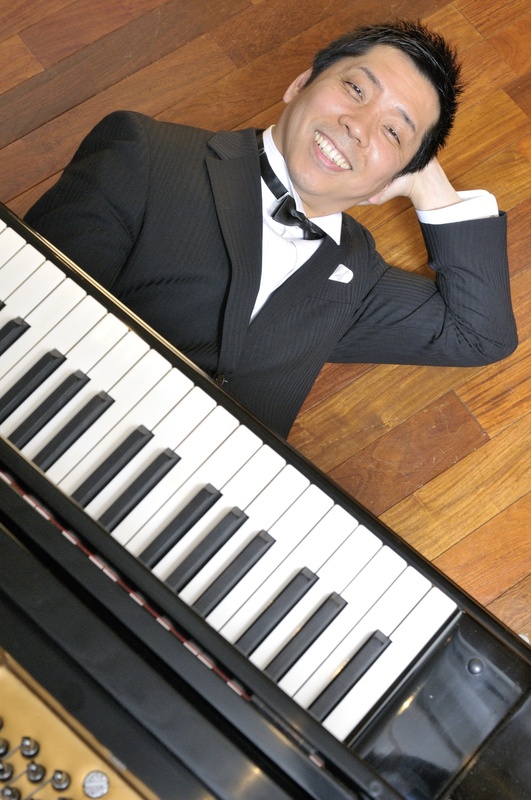 Born 1963 in Tokyo, Mr. Eguchi has received his Bachelor’s Degree in Composition from Tokyo National University of the Fine Arts and Music (renamed to Tokyo University of the Arts), Master’s Degree in Piano Performance from The Juilliard School. He has studied with Herbert Stessin, Samuel Sanders, Hitoshi Toyama, Akiko Kanazawa for piano, and Shin Sato, Akira Kitamura, Ichiro Mononobe for composition. He was on the faculty member at CUNY Brooklyn College till spring of 2011. Currently, he lives in New York and Tokyo, serving as an Associate Professor at Tokyo University of the Arts. He also teaching at Senzoku-Gakuen Music College in Japan as a guest professor.